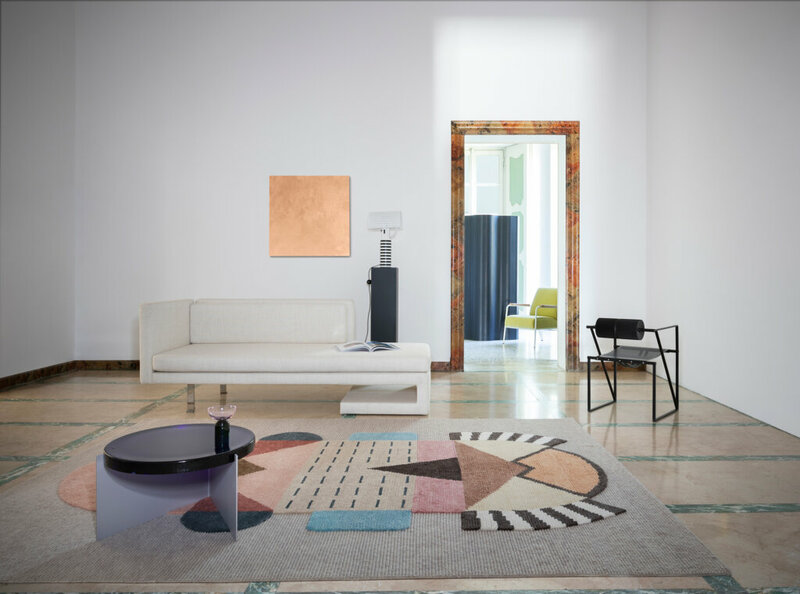 An experimental concept, the cc-tapis shoot at Villa Panza is the combination of culture, art and design from different centuries. 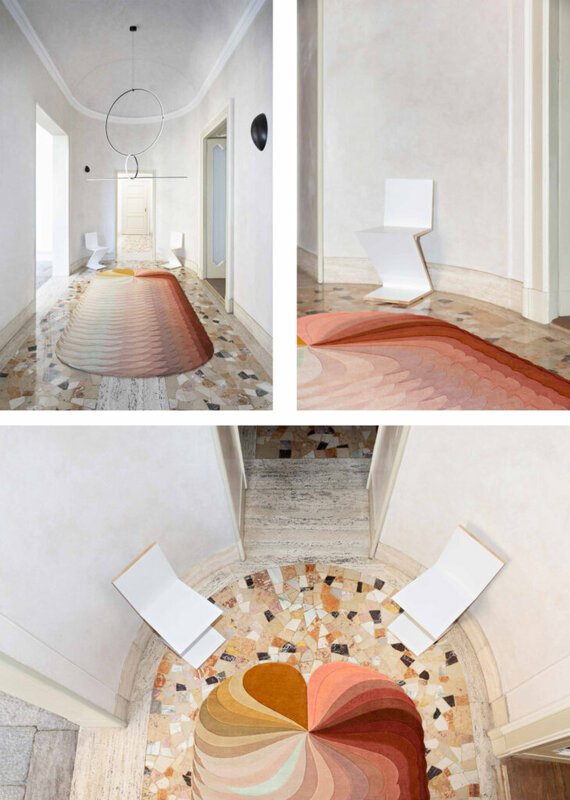 Villa Panza is a historic villa built in the hills outside of Varese in Northern Italy. 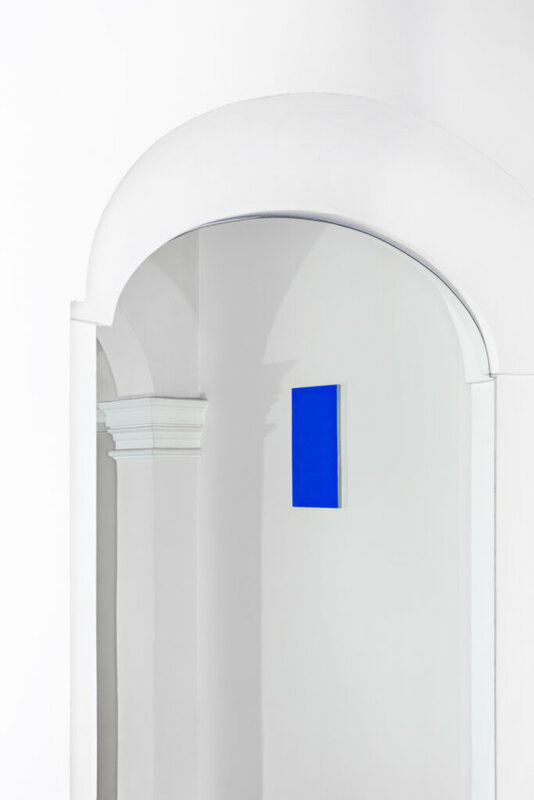 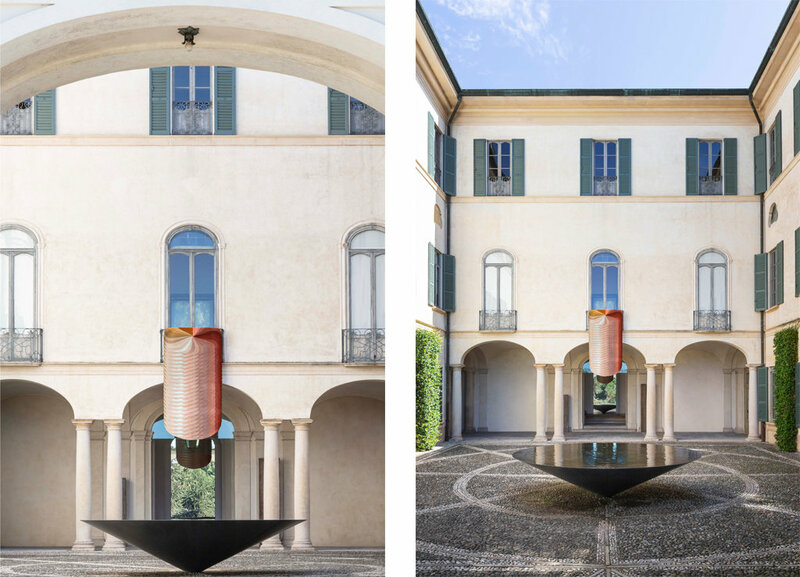 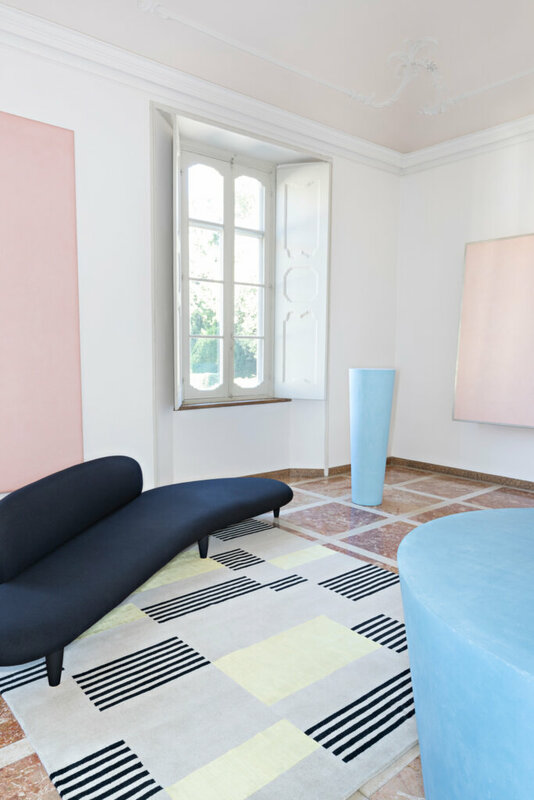 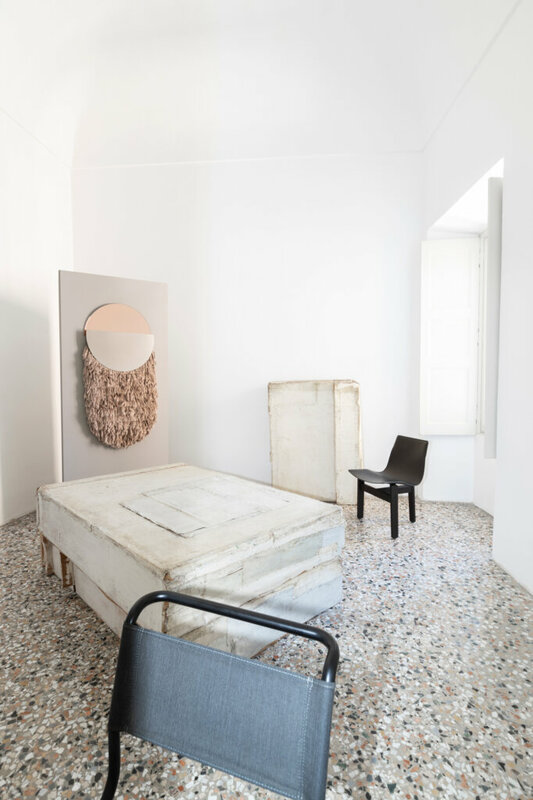 Built in the 17th century in a “barochetto” architectural style, the villa features beautiful traditional decorative elements internally as well as externally and houses the “Villa Panza Collection” of 20th modern art with artists such as Dan Flavin, Robert Wilson and James Turrell. 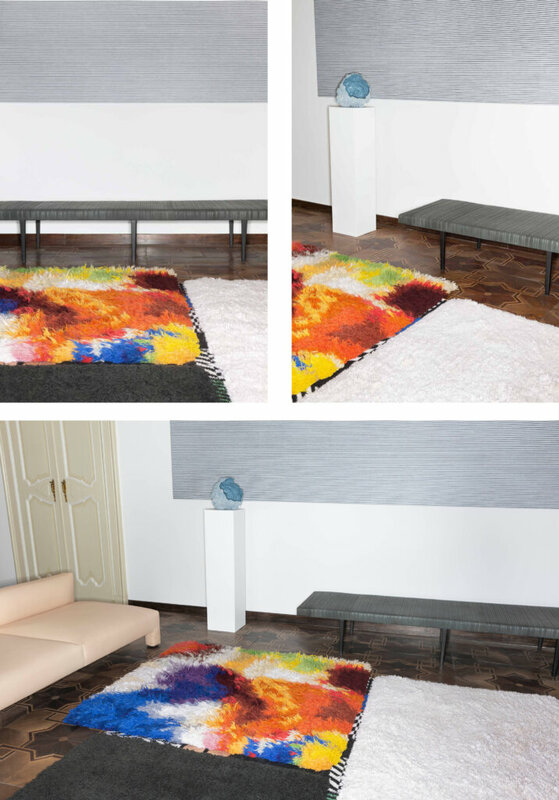 This combination of traditional and contemporary was the perfect place to host cc-tapis, a company which produces rugs by hand in Nepal using century-old techniques with a contemporary aesthetic. 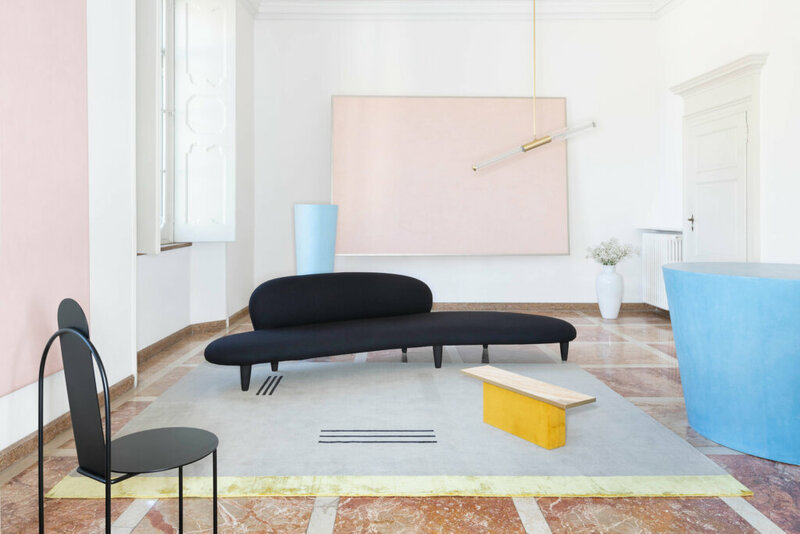 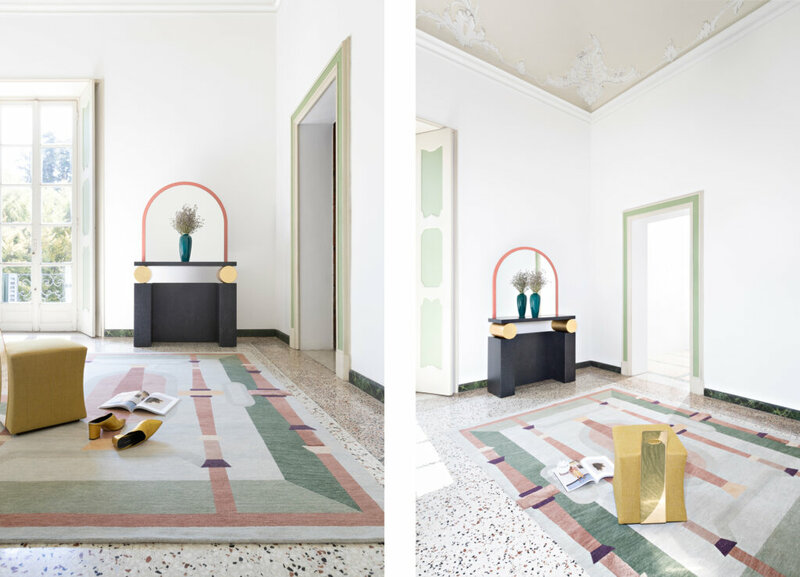 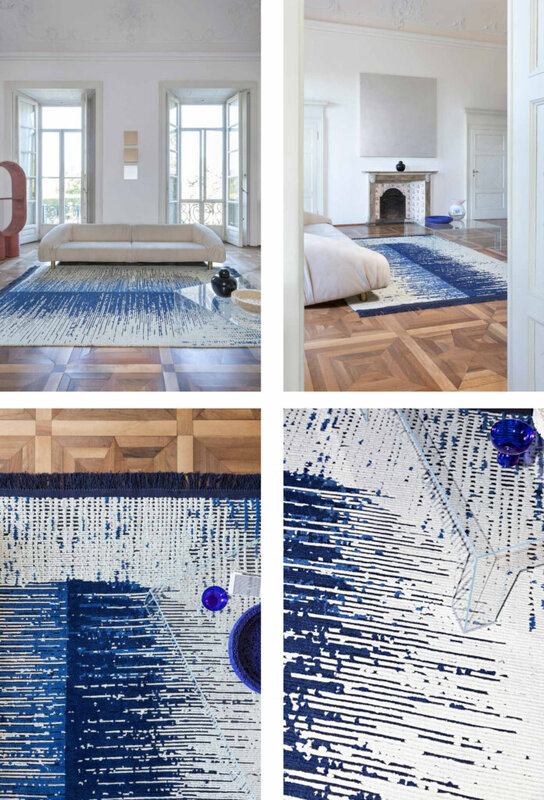 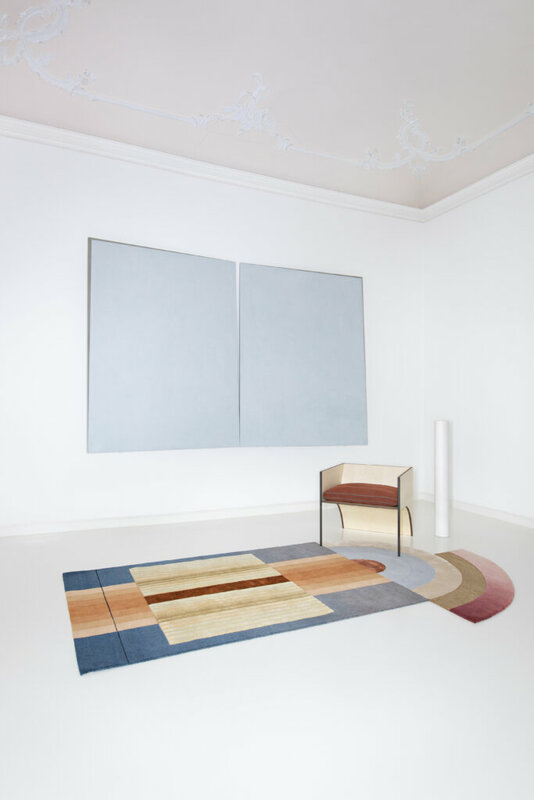 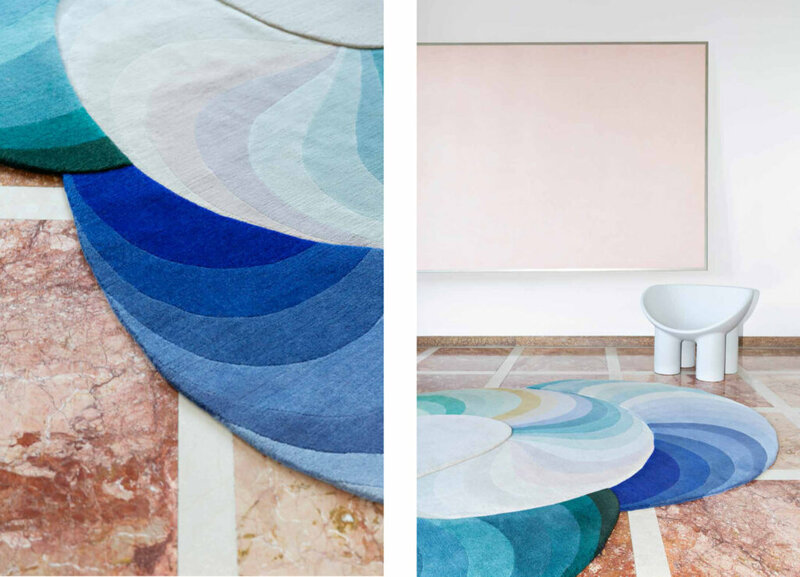 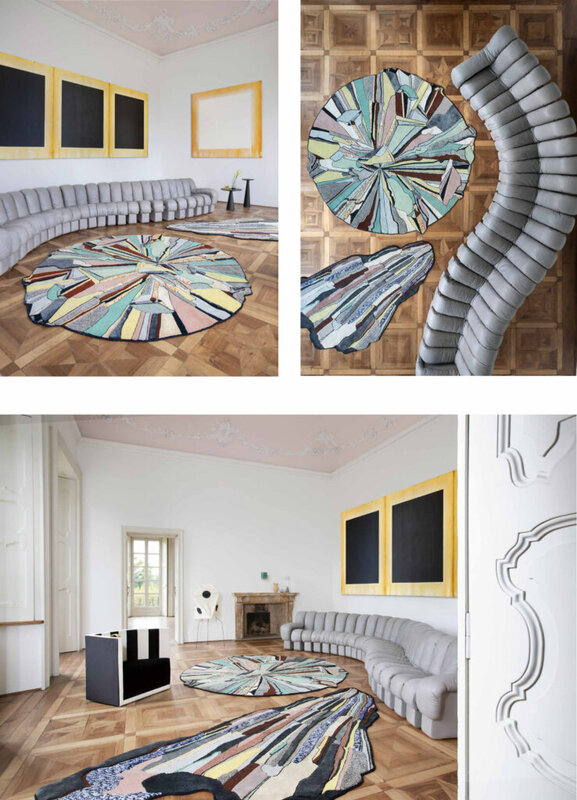 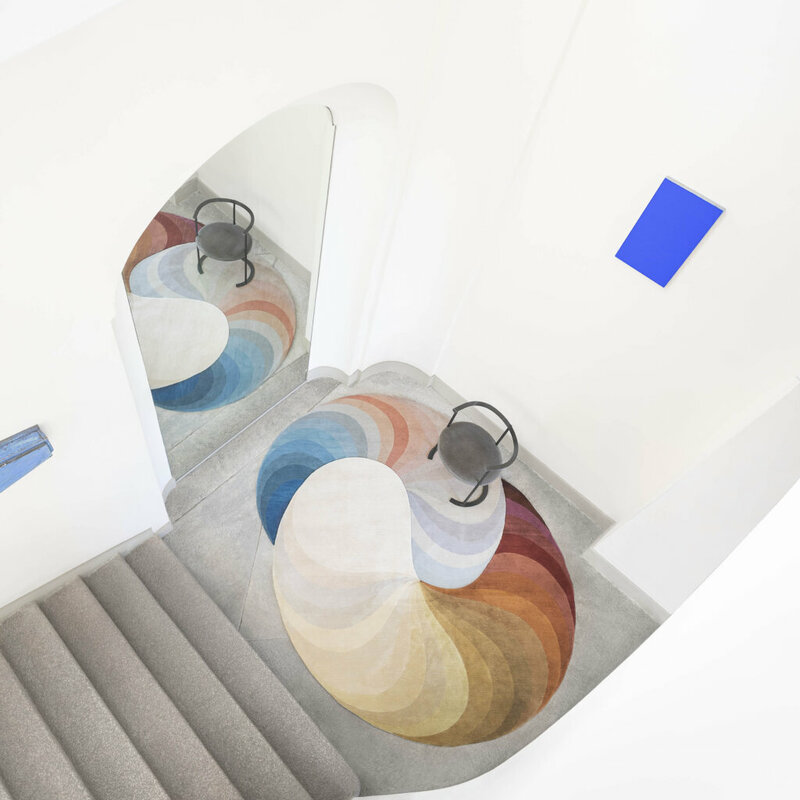 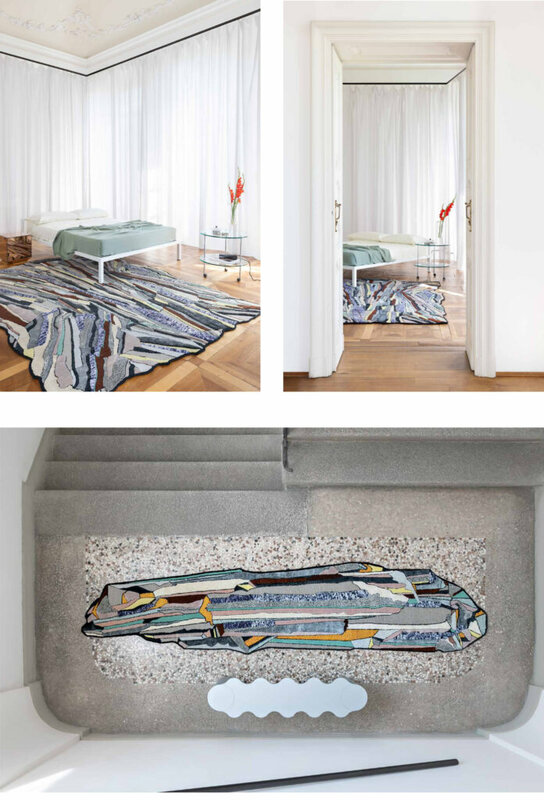 Sets were created in and around the villa which combined its traditional architectural elements and modern art with contemporary design furniture pieces and cc-tapis’ rugs with their bold and signature style. 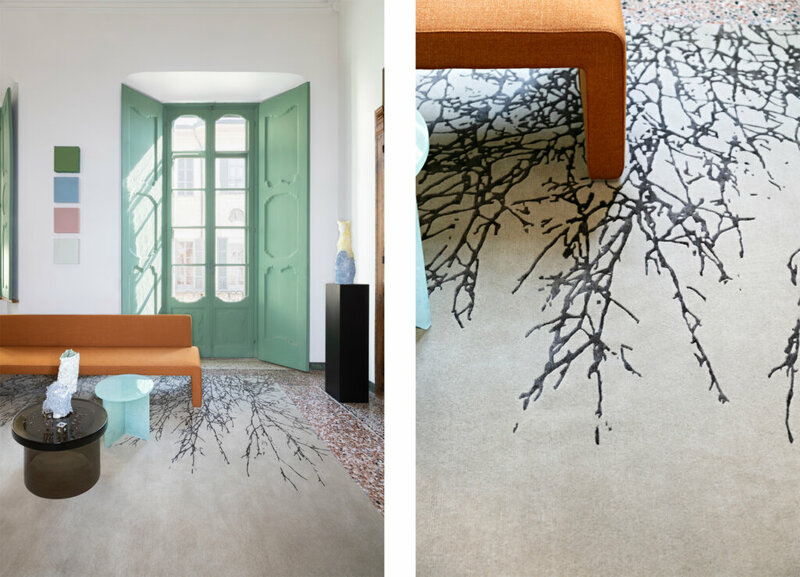 Hello Sonia designed by Studiopepe. 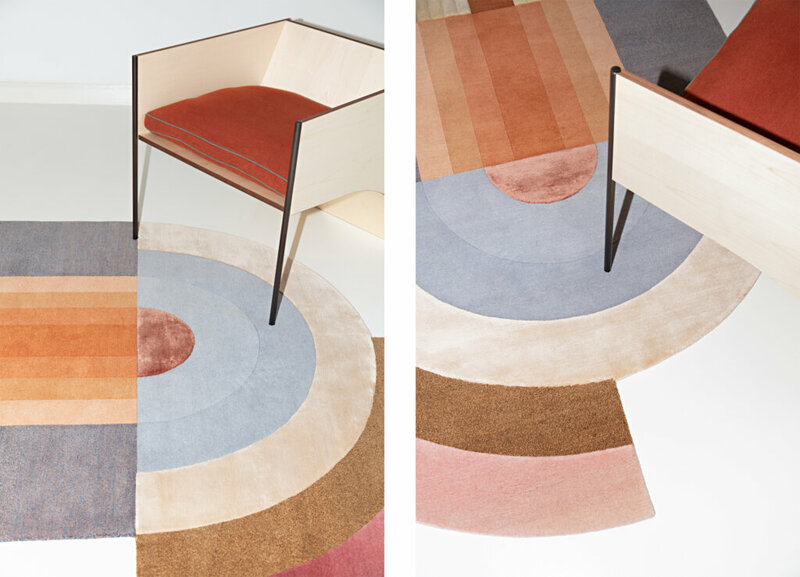 Hello Sonia Reloaded designed by Studiopepe.